Upland and Waterfowl Bird Hunting. Orvis Endorsed Wingshooting Outfitter. 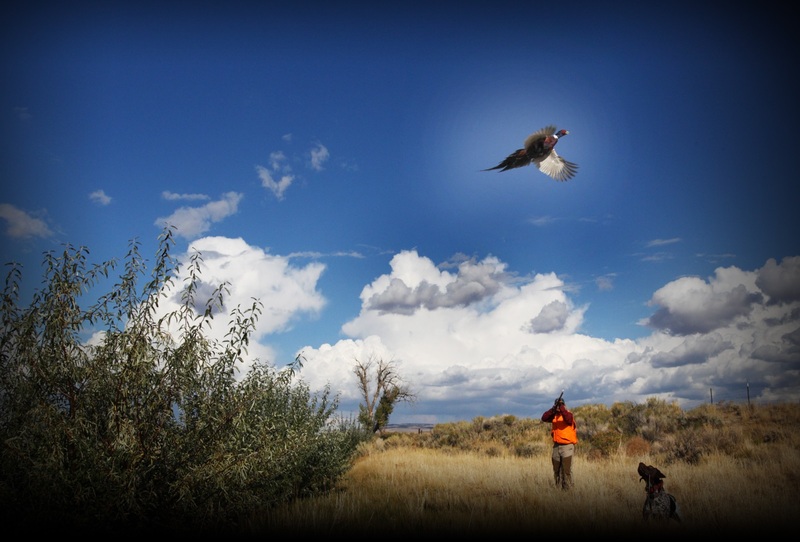 At Grey Reef’s Western Wingshooting we offer WORLD CLASS Upland Bird Hunting for 6 species of wild game birds including Sage Grouse & Hungarian Partridge. Over 75,000 acres of private leased ranch land, Grey Reef offers a multi-day, multi-species upland bird hunt tailored for bird hunters looking to capitalize on Wyoming’s wild bird hunting diversity. Private lodging on the banks of the North Platte River creates the total get-away experience. Cast and Blast options available for fly fishing and wingshooting. Grey Reef’s Western Wingshooting offers multi-state waterfowl hunting for Fall and Spring Snow Goose hunts, Giant Canada Geese, and North Platte River Duck Hunts. From Wyoming Goose Hunting in Heated Pit Blinds to large decoy spreads for Snow Geese in Nebraska, Grey Reef Wingshooting provides world class service to waterfowl hunters in Kansas, Nebraska, Wyoming, and South Dakota. Upland/Waterfowl Combo Hunts and Lodging available. Daily Migration Updates!